This magnificent hand built rock metropolis is the Cliff Palace of Mesa Verde. 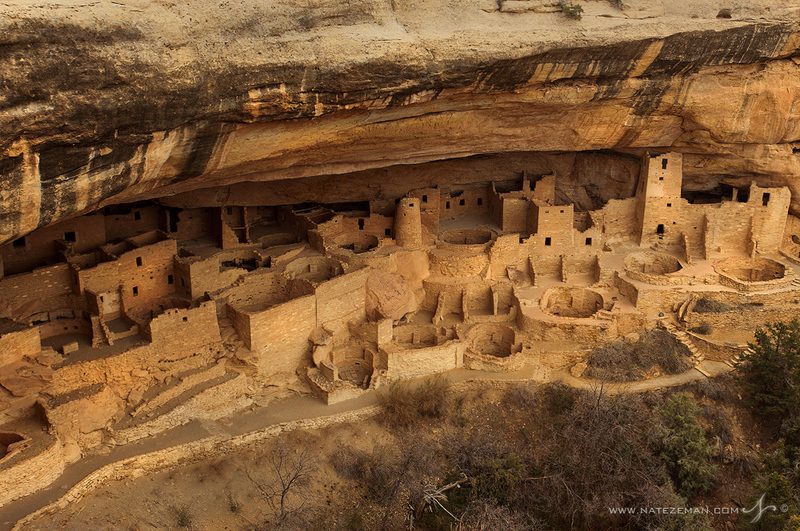 Of the countelss cliff dwellings that occupy Mesa Verde National Park, Cliff Palace is the crown jewel. Built by Ancestral Puebloan people, Cliff Palace is the largest cliff dwelling in all of North America. The Ancestral Puebloans, who settled what is now the modern day Four Courners Region, lived here from approximately year AD 1 - 1300. It's not entirely known what brought these people to the area or what made them abandon the mesa tops where they originally lived to construct homes in the cliffs below. Even less known is why the cliff homes were only occupied for a little over 100 years and then abandoned completely.